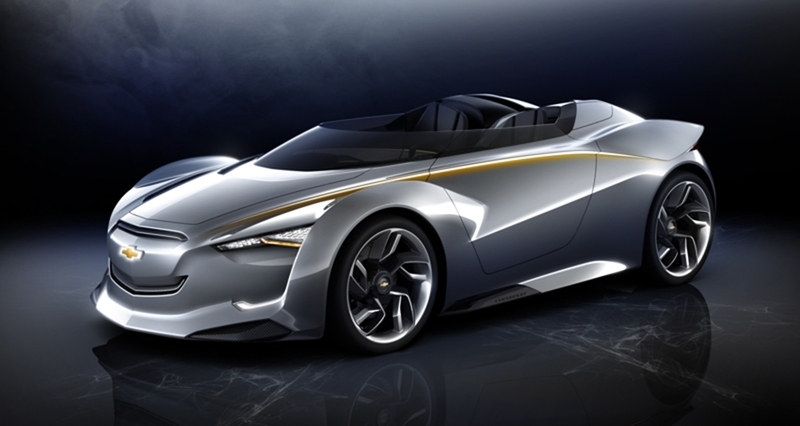 First shown at the 2011 Seoul Motor Show, the Miray (Korean for ‘future’) roadster typifies the expressive, forward looking design heritage that has been integral to the 100-year Chevrolet brand heritage. 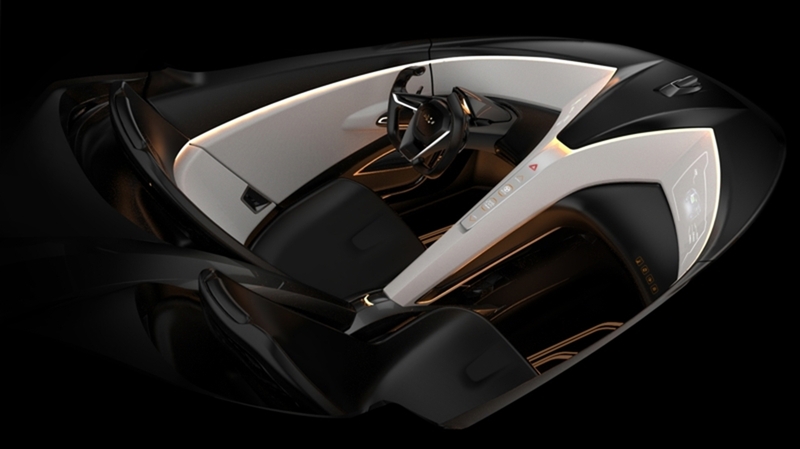 The Miray concept vehicle was developed at the GM Advanced Design Studio in Seoul. 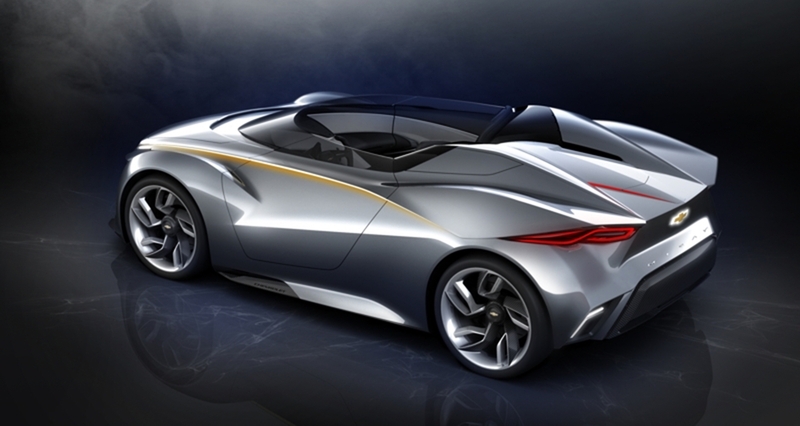 By combining state-of-the-art hybrid propulsion technology and futuristic styling the design team balanced iconic Chevrolet design cues with future design vision as Chevrolet moves into its second century of vehicle design and manufacturing. 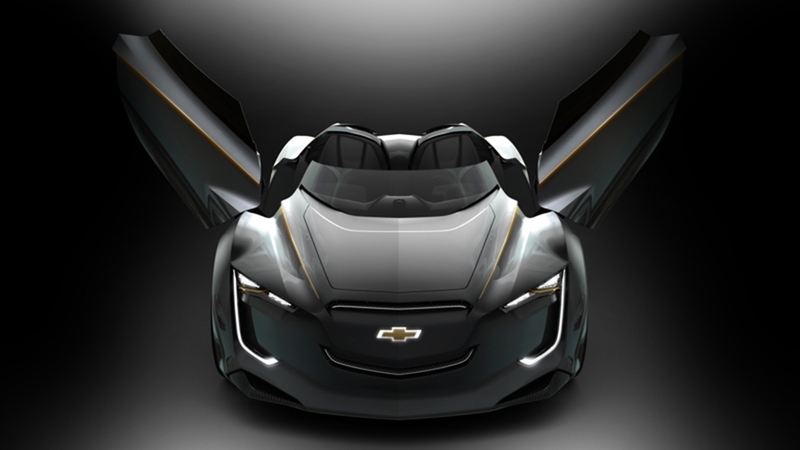 The Miray explores possibilities for the Chevrolet brand. It offers an insight to what might be expected of future generations of sports cars that offer a strong bond between car and driver for an exhilarating driving experience. 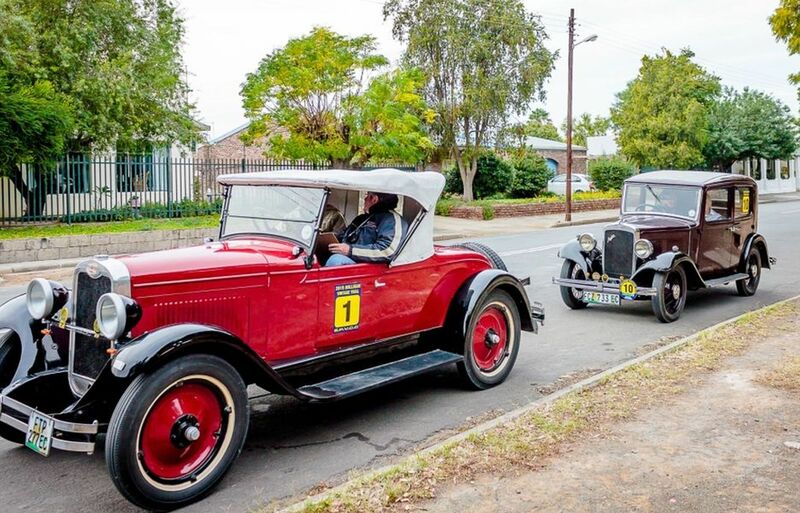 Chevrolet’s sporting heritage goes right back to the very roots of the company with co-founder Louis Chevrolet a successful race car driver in his day. The Miray extends this heritage into the future with its distinctive aero design and use of latest technology composite materials for its construction. The side view is defined by wedge shaped panels made from carbon-fibre and CFRP (Carbon Fibre Reinforced Plastic). Accent lighting situated below an angled character line down the side of the vehicle defines the outline of the Miray with a sweeping line of light when the vehicle is in motion. Scissor type doors, synonymous with high-end sports cars and racing prototypes, open up and outwards in a dramatic sweep to provide access to the interior. 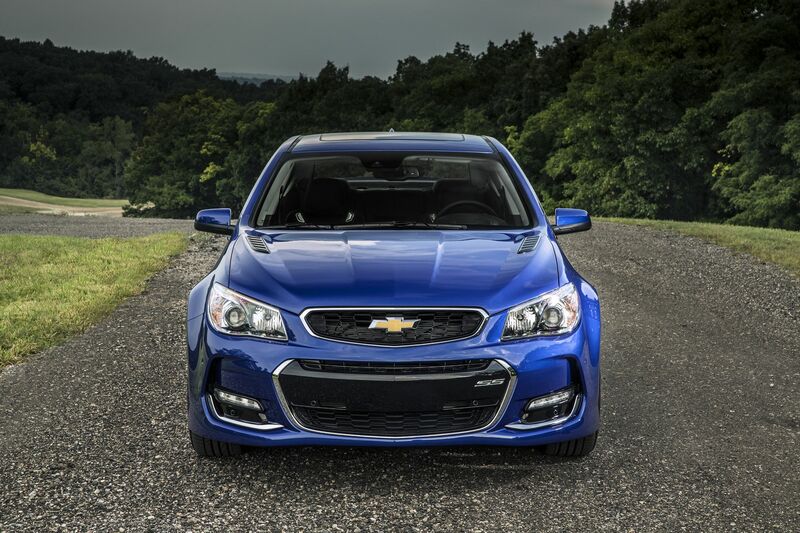 The aggressive front end styling offers a look into the future for the well known Chevrolet face. The dual-port grille is flanked by energy efficient LED headlamps. Daylight running lamps provide a unique styling signature for the Miray. 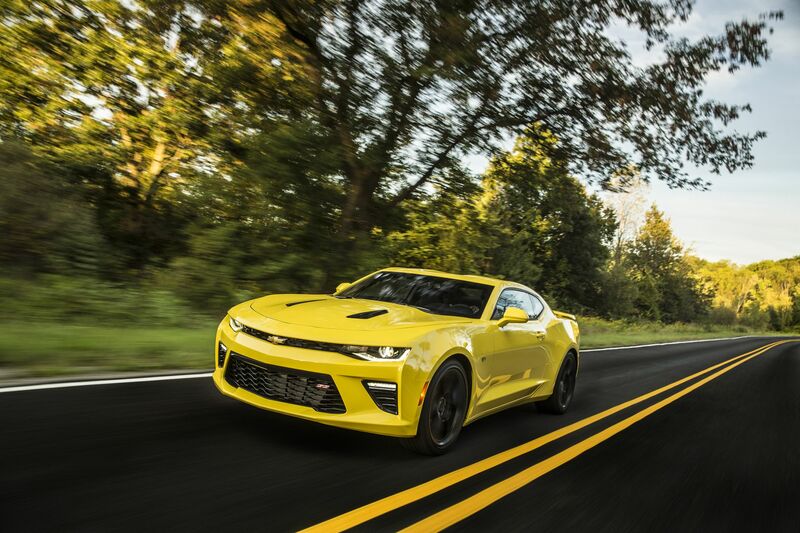 The front and rear fenders draw their styling cues from Chevrolet Corvettes of the past and provide an expression of the vehicle’s sports car heritage. Carbon-fibre spoilers at the front corners of the vehicle provide an aero effect to smooth the passage of air around the vehicle while providing additional down force for the front end. Access to the energy reserves that power the vehicle is via distinctive retractable flaps that provide additional control of the airflow over the vehicle when closed. The charge port, with an external battery charge indicator, is on one side with the fuel filler on the opposite side. The styling of the rear fenders has an additional functional element with the inclusion of a load space for the storage of small items in its form. Wheels are of an advanced aluminium-carbon fibre composite construction with a diameter of 20 inches at the front and 21 inches at the rear. The turbine theme adopted for the wheel design provides the impression of motion even when the Miray is stationary. Viewed from the top the cabin space has as definitive diamond shape that encloses an interior inspired by the styling of a fighter jet cockpit. As with the exterior structure of the vehicle, extensive use is made of advanced materials but blended skilfully with more traditional luxury materials. The cockpit surround is formed by a tough but lightweight carbon-fibre shell. The form wraps around the occupants of the two seat cockpit to provide a sense of safety and security. A look into the interior of the Miray confirms that this is a driver-focused vehicle, drawing its inspiration from an iconic line of Chevrolet sports cars, best known amongst them the Corvette. That said, the passenger is also drawn into the driving experience. Asymmetric seats flow from the doors into the interior to form a symmetrical interior that provides the driver with a feeling of being completely connected to the car. Accent lighting, which flows from the upper instrument panel area through into the area behind the seats, adds a sense of warmth and luxury to the interior to compliment the styling accents in traditional high-end materials such as natural leather and aluminium. Seat cushions and headrests are connected directly to the carbon-fibre shell and mounted on a single aluminium rail for a wraparound effect that follows the exterior form. Headrests are integrated with what the Miray designers call an ‘air-scarf’ for a comfortable open air driving experience. In keeping with the advanced exterior and interior styling of the Miray, the engineering team adopted a unique approach to the display of information in the cockpit. A back projection system is used with information prioritised in three zones. Directly in front of the driver is the zone that monitors vehicle performance. This central zone is flanked by range information on the left and by navigation and mileage information on the right. This arrangement eliminates clutter and allows the driver to focus on the thrill of driving. 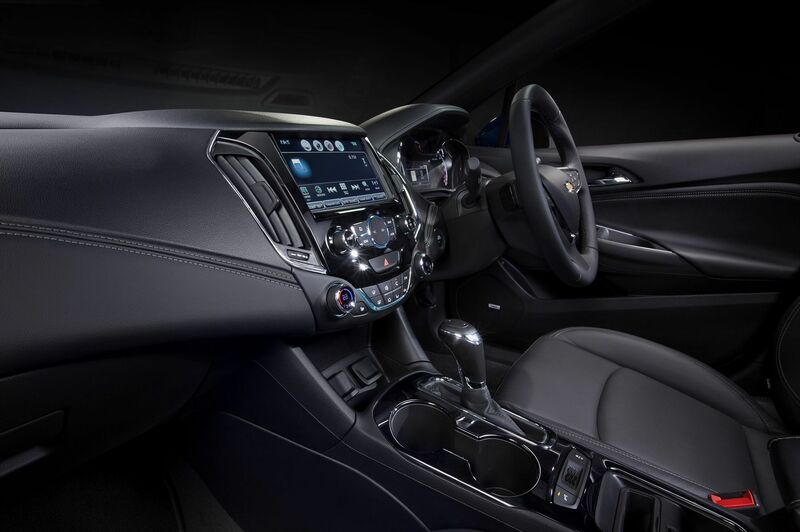 Following the styling cues evoked by a modern jet fighter, the centre mounted touch screen flows down to an aluminium support that is reminiscent of the view of the nose of a fighter jet with its nose wheel down. The centrally mounted start button extends the aviation theme. When the button is pressed the column mounted instrument cluster rises up into its driving position like the opening canopy of a jet fighter. Rear vision is provided by cameras in place of traditional rear-view mirrors. These extend from the side glass electrically. In city driving conditions a forward-facing camera operates in conjunction with a GPS to overlay navigation information with real time camera inputs. The Chevrolet Miray is powered by a concept ‘mid-electric’ propulsion system located behind and below the driver that is designed to maximise performance and efficiency. 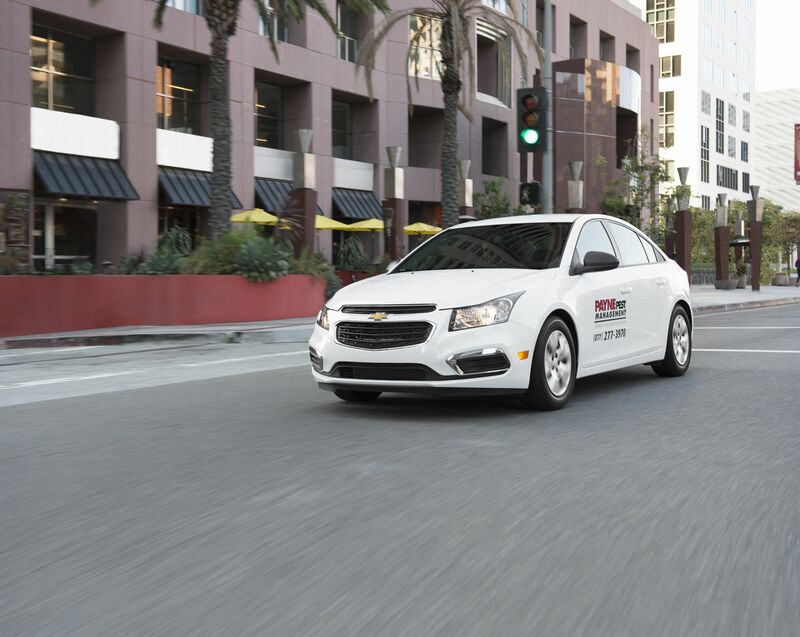 The design of the system is a logical extension of GM’s extensive technology portfolio and shows the potential for reconfiguring and rescaling existing advanced technologies for future use. Two front-mounted 15kW electric motors provide for quick acceleration with zero emissions in urban driving conditions. Power for these motors comes from a 1,6kWh lithium-ion battery pack that is charged by regenerative braking energy. A point of note is that the Miray can be switched between front and rear wheel drive. When the time comes to flex the Miray’s performance characteristics it draws motive power from a 1,5 litre four-cylinder turbo-charged engine combined with the power of the electric motors which provide spirited torque distribution to both left and right side wheels as needed. The high-tech engine, mid-mounted behind the cockpit, drives the rear wheels while seamlessly integrating with the electric element of the power train. A dual-clutch transmission is employed for a reduction in the overall size of the power train. Gear shifts are quick and precise with the transmission characteristics tuned to favour top speed in performance mode. A stop-start system works in conjunction with the dual clutch transmission. The Miray delivers big performance in a small footprint. It merges advanced GM propulsion technology with visionary design. 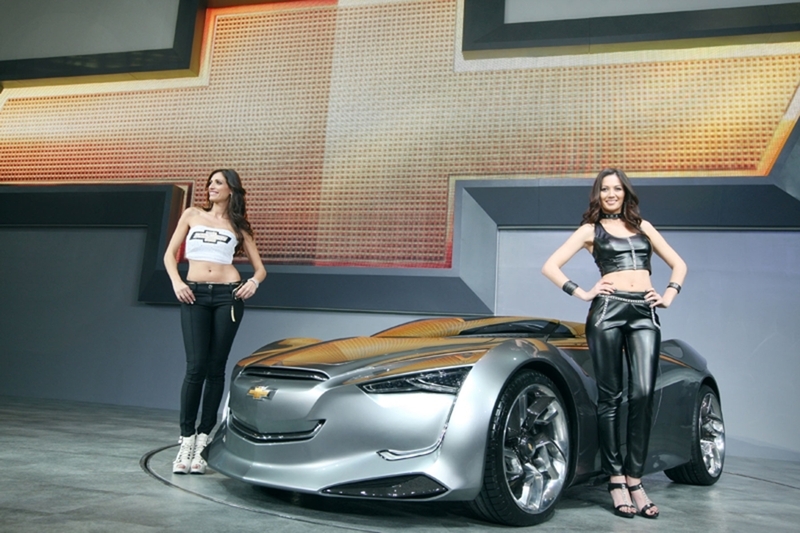 The Miray concept points to the future of Chevrolet as an expressive, youthful, and entertaining brand.